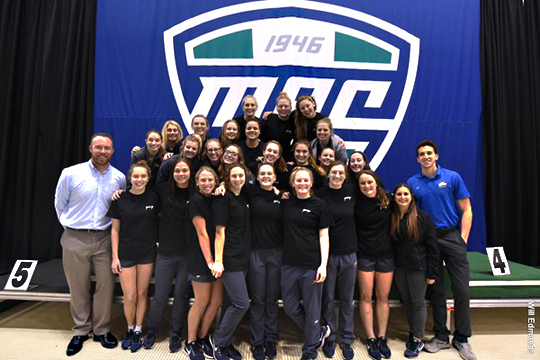 The Toledo women’s swimming and diving team was named to the College Swimming and Diving Coaches Association of America Scholar All-America list. The Rockets earned a 3.59 grade-point average during the 2017-18 season. The women’s swimming and diving team earned a 3.59 GPA during the spring portion of the 2017-18 season. UT’s GPA was the 32nd highest of all Division I swimming and diving programs and was the third-best in the Mid-American Conference. The College Swimming and Diving Coaches Association of America named 710 teams to its Scholar All-America list for spring semester. The teams represent 476 institutions from across all NCAA, the National Association of Intercollegiate Athletics and the National Junior College Athletic Association Divisions. The College Swimming and Diving Coaches Association of America recognizes teams with the Scholar All-America Award for achieving a team GPA of 3.0 or higher. This entry was posted on Wednesday, June 20th, 2018 at 3:00 am and is filed under Athletics, News .